Six-decades-old East Multnomah County shopping tradition has a new look for this holiday bazaar season. There's something extremely satisfying about presenting a friend or loved one with a handmade gift. But for those lacking any DIY genes, the highly anticipated opening of the Harvest Bazaar season means finding that truly special, one-of-a-kind present is a little easier. One of East Multnomah County's longest-running fall craft shows has undergone a facelift for this season. 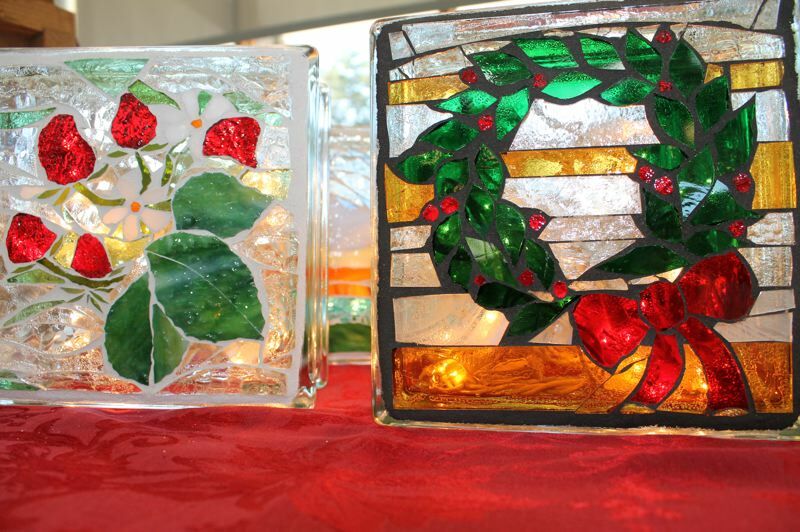 St. Joseph the Worker Catholic Church's 63-year-old holiday bazaar has a new name — Jingle and Mingle Craft Market — and promises a wide variety of new gift items, while remaining true to the affair's roots. "This is the first time we're bringing in outside vendors," said Michelle Craver, organizer for the craft market, which will be held at 2310 S.E. 148th Ave. in Portland. "We have 21 vendors this year, and we're trying to get all the groups in the church involved too." St. Joseph's holiday bazaar has always been a neighborhood affair, with individual vendors all belonging to the church's altar guild. Proceeds from the sales of crocheted items and baked goods helped pay for the guild's upkeep and care of church vestments. Mary Fromwiller, 92, has been a member of the church for more than 70 years. She served as president of St. Joseph's altar guild twice and remembers the homespun atmosphere when the bazaar was introduced in 1955. "Our pastor made the most wonderful little fruitcakes and candy," Fromwiller recalled. "I always worked the candy booth. We had cake walks — the kids loved those. Some people would win three cakes and give them back, but some people would take all three cakes home. We had lots of homemade cakes and pies and candies." Fromwiller remembers how over the years, guild members kept up with gift-giving trends of the time. "We had lots of embroidered pillowcases and flour sack dish towels," she said. "Handmade candles were big then, the ones made with (milk cartons and) ice. And crocheted doilies — I had a lot of those." 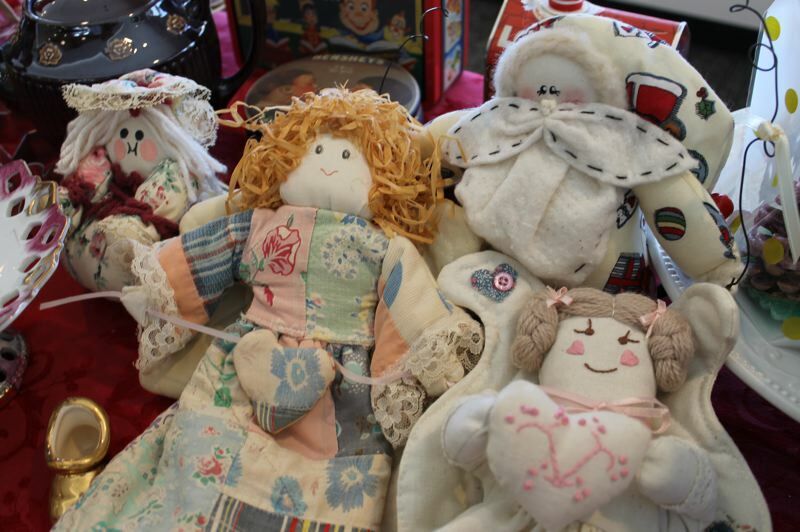 But what's old is new again, Craver said, with this year's vendors offering handmade quilts, ornaments and hats and scarves. Vendors weren't juried, Craver added, but careful attention was paid to make sure there would be something for everyone. "We tried to spread it out so we didn't have a lot of overlap," she said. 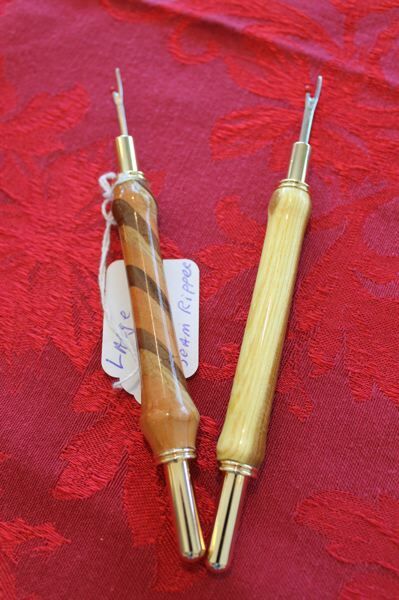 Alan Stickel is a longtime woodworker and former accountant, who took up woodturning after he retired. His hand-turned bowls, in a variety of shapes and sizes, are made from cherry, oak or other exotic woods he acquires from friends, family members or fallen trees on his property in Central Oregon. Stickel's attention to detail is exquisite. He crafts small sections of different-colored wood as handles for seam rippers and works with each wood's grain to allow a bowl or plate to showcase itself. An added bonus — all his work is suitable for the dining room table. "Most of the stuff I make are treated with maple oil so they're utilitarian," Stickel said. "If you want to re-energize them, just rub in a little mineral oil." Craver, who operates under the name Michelle's Creations, manufactures homemade bath bombs using Himalayan sea salt and lavender. The delicate scent inspires relaxation without being overpowering. 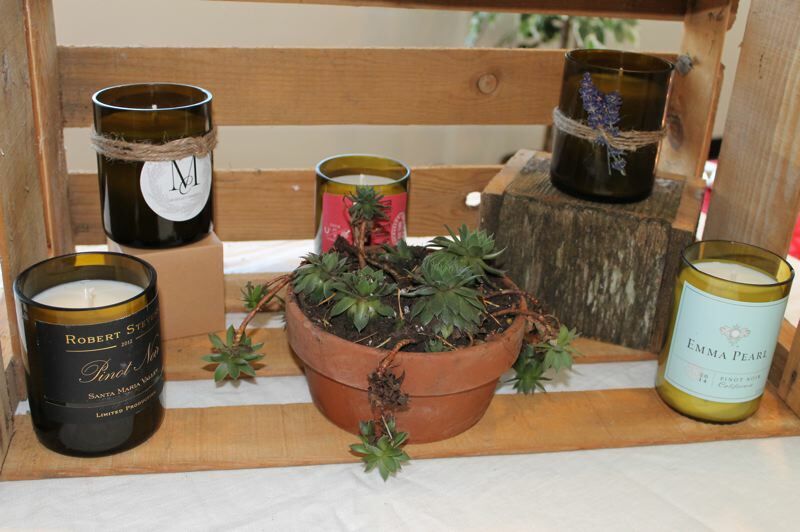 Craver also offers succulent gardens planted in repurposed handmade planters and coconut oil and soy wax candles poured into recycled wine bottles. "It's a real clean burn," she said. "I don't like candles with a heavy scent, so I keep them pretty organic and natural." Claire Clow takes candlemaking to a heavenly level, however, by repurposing discarded wax from church candles. 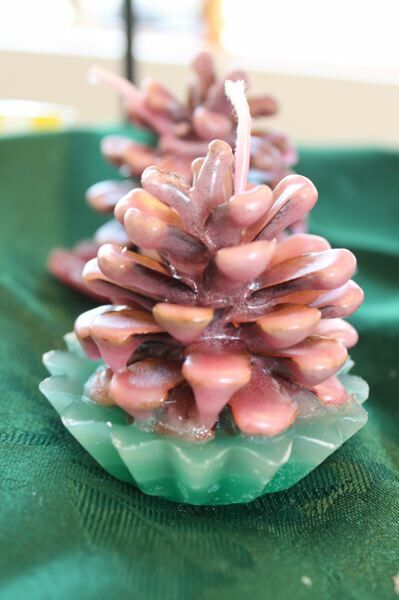 Clow centers a pinecone on a small decorative candle, dips the assembly in melted wax and markets them as firestarters. She employs recycled materials for her oversized votive candles as well. "I use yogurt and butter containers for the candles," Clow said. "Everything I use is repurposed." While adults browse for that perfect handmade gift for Aunt Susie, youngsters will be able to do their own shopping in the new Children's Store. "(Kids) can buy things for Christmas gifts," said Sylvia Boyce, publicity chairwoman for the bazaar. "There will be other kids in there to help them wrap their gifts so they will leave with something for mom, dad or grandma." Church groups have assembled baskets of goodies as raffle prizes, and don't miss the white elephant table for kitschy gifts. And definitely don't bypass the homemade baked goods, Fromwiller advised. "We always did those well and still do," she assured. When: Wine and cheese preview from 5-9 p.m. Friday, Nov. 16; 9 a.m. to 4:30 p.m. Saturday, Nov. 17. 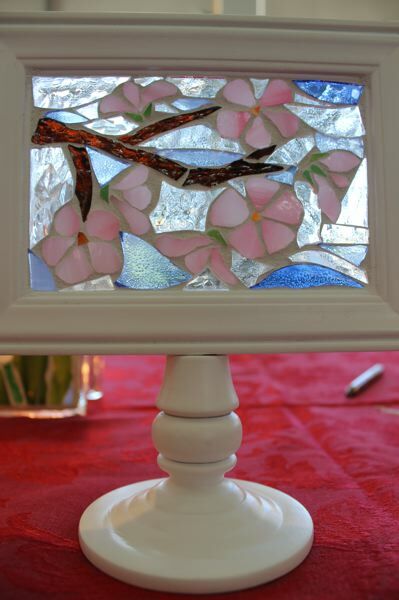 Features: jewelry, quilts, home decor, woodworking, vintage items and collectibles; Children's Store, white elephant area and homemade baked goods.